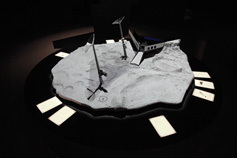 "The Moon Goose Analogue: Lunar Migration Bird Facility"
The main projection shows the live stream from the moon goose analogue in Italy. 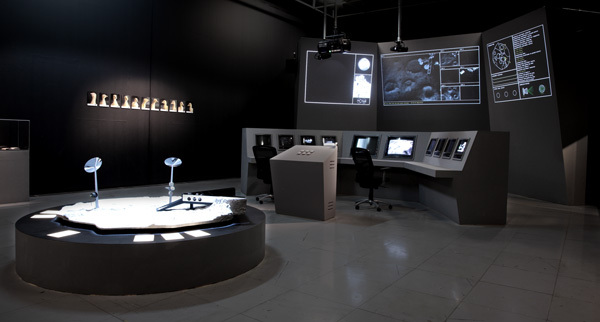 Scaled model of the moon analogue site in Italy as control room element. 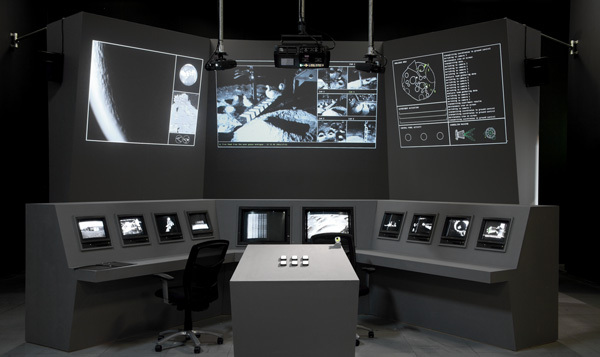 REX - U (Realtime EXchange Unit) unit to establish data transfer between the Moon Geese and the control room / exhibition space. 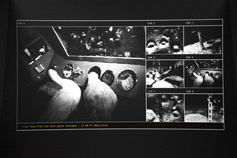 The unit enables various signal transfers such as morse code by the geese and other types of interspecies communications. Observation of dandelion plant growth under non-directional gravity. Moon Geese are conducting the gravitropic dandelion experiment (clinostat) as part of their daily routine. 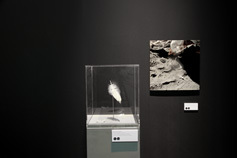 Vitrines with Moon Goose feathers, eggshells, toys, footprints. 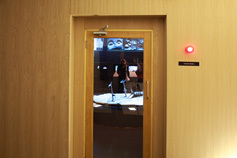 The entrance area and corridor to the MGA control room installation.